Are you interested in attending Northern Essex? Come to one of our events designed especially for future students! 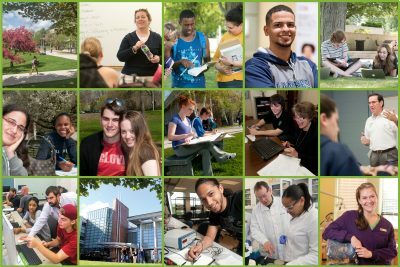 From fall and spring open houses, to College for a Day to the annual New England Association for College Admission Counseling (NEACAC) College Fair, and more, we want you to come and see what we are all about! In addition to our special events, we frequently offer Info Sessions for you to come and get answers to your questions and take a tour of the campus. You can also drop in during our walk-in hours Monday and Thursday from 9:00 am to 4:30 pm, Tuesday and Wednesday from 9:00 am to 6:30 pm, and Friday from noon to 4:30 pm. Our Open House provides a wonderful opportunity to tour our campus, speak with faculty and learn more about what NECC offers you. Come Experience What It's Like to Be a College Student at NECC.